The B.S. in Computer Game Development degree at Lamar University is the only dedicated 4-year degree program at a Texas public university that prepares graduates for careers in game programming. Graduates of the program are also well qualified for work in related fields such as simulation and serious-games (computer game software not intended solely for entertainment purposes). Computer games are created by teams with specific skills including programming, art and design. Typically, members of a game development team will be an expert in only one of these three areas and are not required to have expertise in the others. For this reason, preparation for industry careers most effectively targets each of these areas individually. The best game programmers are highly knowledgeable in both theory and practical aspects of computer science. The program at Lamar University recognizes this. 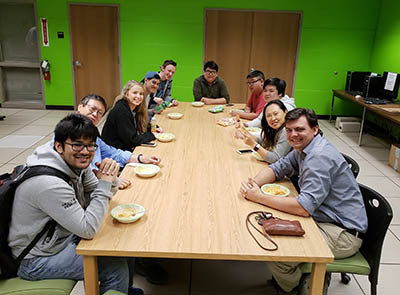 Lamar credits the industry with driving their program to adopt this computer science-intensive approach to preparing students for careers in game programming. In Texas, several universities have sought to attract students with bachelor’s level games-related degrees in art and technology. The common feature of these degrees is they focus heavily on art and design and do not contain the core components typically found in a traditional computer science degree. Students graduating from these programs do not necessarily have the preparation necessary to land jobs as game programmers. 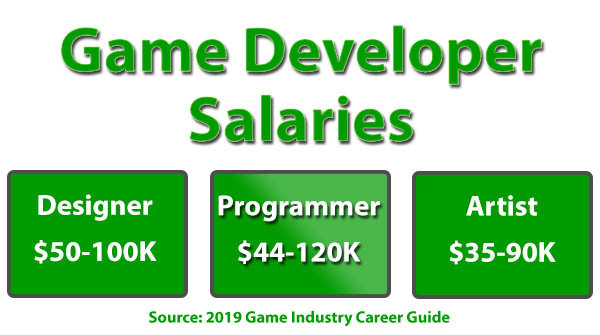 Job prospects for game programmers are very good. For example, jobs website Monster.com typically lists over 1,000 job listings for “game programmer.” Another source for game development jobs is the Texas Film Commission’s Job Hotline. Texas is a leading state in the nation for computer game development and is home to over 180 publishing and development companies including Bethesda Game Studios, BioWare, Blizzard Entertainment, Electronic Arts, Epic Software, Gearbox Software, iD Software and Zynga. For students seeking both education and a chance for in-state internship opportunities, Texas is the place to be. According to the Entertainment Software Association, the U.S. games industry is one of the nation’s fastest growing economic sectors with sales exceeding $30 billion annually. For more information contact the Lamar University Department of Computer Science at cs@lamar.edu. (1) A grade of B or better is required in COSC 1336 before taking COSC 1337 . A grade of B or better is required in both COSC 1336 and COSC 1337 before COSC 2336. (8) Academic Elective must be at least 1 credit hour.